These hiking boots will work not only when hiking, but also when working for 12 hours in a Zoo, of all places. Made of leather, they can be worn the second you get them. 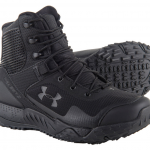 Wider than usual, but with no risk of heel slipping, the boots are lightweight and waterproof enough. Take the monkey to the Zoo... while wearing these boots! Having wide feet and working for 12 hours in a Zoo is no picnic, so I had to search high and low for the right working boots. These boots are made of leather and I was able to wear them my entire shift from the very first day (I took an extra pair, but I didn’t need it). I feel great comfort when wearing these boots and I once dared to take them when horseback riding. Guess what? They held up really well so now I wear them in my spare time also. My walks and even my hikes are carefree since these babies are nice and supportive for many hours. I like the boots for being extra wide and I can wear the thickest socks and still have no problem. I am wearing these boots all year long as they are waterproof enough. They’re also warm enough in the winter. The boots are true to size and they really look good. Apart from my wide feet, I also have plantar fasciitis and these boots manage to give me the comfort I need for many hours. The heel of these boots is narrow enough so that the foot doesn’t slide around- this happened a lot in the past with other boots of mine. The stitches on these boots are sturdily made (double stitching in most places) and the rubber front piece is also stitched, not glued on. As they are made of leather, the boots require some cleaning. I do it quite often as I know that taking good care of your leather boots extends their life span significantly. No matter how much time I spend in the dirt or muddy places, the boots still keep the elements away and that’s a great thing for me. The boots remain dry in all conditions. 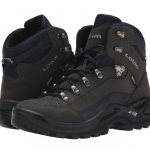 The craftsmanship of these boots is great and the materials used are of pretty high quality. When it comes to the downsides of these boots, I would have liked for them to give me more arch support. Even though I wear them all year round, in the summertime my feet get too hot. I think the boots aren’t breathable enough. I also noticed that they become slightly unsafe in slippery conditions so whenever I know I’m gonna walk/work around some wet surfaces, I put on crampons. Even though the boots are great quality, this doesn’t apply to the laces. They tore up pretty fast and I had to replace them. In the beginning, the boots were a little bit stiff around the ankles, but now they feel way better. 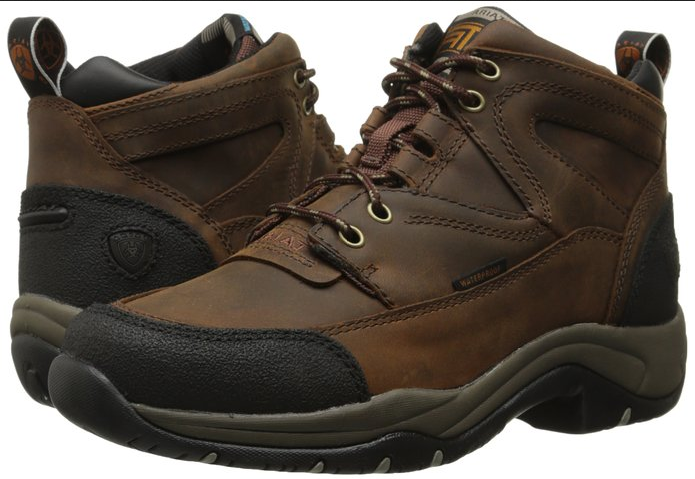 All in all, these leather waterproof boots are great for so many outdoor activities and will give you comfort for a long time.